Teresa Louise Inscoe Montaigne, 62 years old of Statesville, formerly of Oxford, NC passed away on June 10, 2017 at home after a courageous battle with cancer. Teresa was born on July 30, 1954 in Oxford, NC, to the late John Robert and Louise Morris Inscoe. Teresa was employed with Southern Furniture Company in Conover and was known to be a hard worker. She enjoyed going to the beach, shopping and just being outside in the sun. She was an excellent mother and grandma, who loved all of her family and friends. 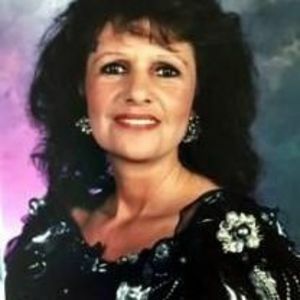 She is survived by her three children, Michael Ray Anderson and his wife Heather of Statesville, Dustin "Ryan" Massey of Statesville and Christel Rana Caudill and her husband Adam of Monroe, NC; her brothers, Steven Inscoe of Oxford, NC, Dalton Inscoe and his wife Louise of Oxford, NC; her sisters, Louella Glasscock and her husband Carrol of Oxford, NC and Elaine Inscoe of Oxford, NC; her grandchildren, Madison, Abby, Emily, Austin, Ashley and Caleb and her two "furbabies", Lilly and Prince. Visiting hours will be held on Wednesday from 1-3:30pm at the Bunch-Johnson Funeral Home, 705 Davie Ave., Statesville with a celebration of life service to follow at 3:30pm in the Westmoreland Chapel of Bunch-Johnson FH. A private cremation will follow. In lieu of flowers, the family is asking that memorial contributions be made to the American Cancer Society in Teresa's memory. Online condolences can be sent to the family at www.bunchjohnsonfuneralhome.com. Bunch-Johnson Funeral Home is honored to be serving Teresa's Family.